How to make perfectly SEO Optimized Landing pages for campaigns? 1. 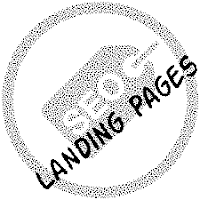 If landing page is on same domain we can make it content rich and SEO friendly to list it on SERP. 3. Page should be optimised for 3 to 5 keywords with a main keyword recurring throughout the page. Keyword density for that keyword alone should be around 2%. The target keyword phrase should be a two- to- four-word phrase (maybe even more words) that conveys the article’s core topic or message. 5. The landing page has to have enough content to draw the readers/customers. Some set a limit of 500 words, others longer. 6. Make sure your landing page is directly relevant to your ad text and keyword. if you are putting an ad in Google Adwords for "SEO Specialists in Bangalore" then the landing page should be optimised primarily for the key word "SEO Specialists in Bangalore". You can give other topics or sub keywords as expandable paragraphs when user click on the respective links. 7. Considering the point # 6 : for campaigns with multiple keywords , it is better to show landing pages which is specifically optimised for that campaign keyword. As i mentioned above other keyword relevant topics can be listed as expandable divs with clickable links. 9.Make sure No content duplication happens when using multiple landing pages. 10. Make sure the landing page loads fast in mobile and desktop in less than 2 seconds. This can be accomplished my reducing your page size by installing a compression software Like GZIP Compression tool in your server. 11. There should be no confusion for user in doing the next action once he reach the landing page.